Hanoi (VNA) – It is necessary to take advantage of the potential of the modern media, especially in cyberspace, to attract a larger readership, according to Managing Director of the Islamic Republic News Agency (IRNA) of Iran Seyyed Zia Hashemi. 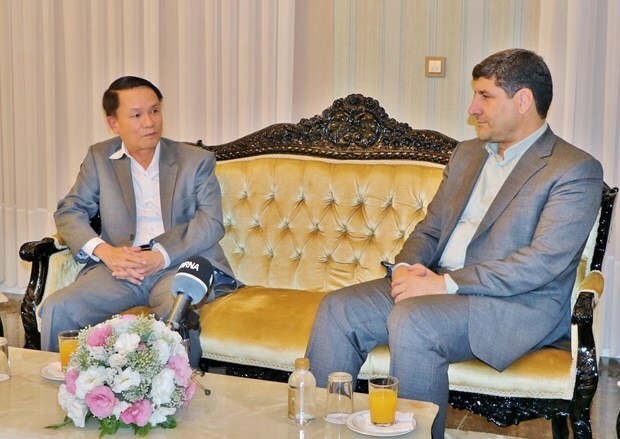 This is also the message the IRNA wants to send to the 44th Meeting of the Executive Board of the Organisation of Asia-Pacific Agencies (OANA), he said in an interview with the Vietnam News Agency (VNA) which will host the meeting in Hanoi from April 18-20. Reporter: The IRNA successfully organised the 43rd OANA Executive Board Meeting in November 2018. What message does the IRNA bring to the 44th EBM in Hanoi? Mr. Seyyed Zia Hashemi: I wish VNA great success in holding the 44th OANA EBM in Hanoi. Two delegates will represent IRNA in the Hanoi meeting and I hope the meeting will turn into a great achievement through the participation of members. I also would like to express my deep sense of gratitude to the current OANA president and secretary general who helped the executive meetings take place regularly and encouraged cooperation among the members. Our message to the 44th OANA EBM is that it is necessary for us to take advantage of the potential of modern media especially in the cyberspace to attract larger audience. Asia-Pacific news agencies have to adopt innovative techniques in order to compete with large news agencies in the West and in order to present a correct image of their countries to the world. If OANA members do not plan for the future, they won’t be able to keep up with the mainstream media of the world. Reporter: Using social media as a channel to spread information has become key for news agencies. The “Data mining” product on the cyberspace that IRNA sent to the meeting’s contest is an example of this trend. How has “Data mining” helped the IRNA? Mr. Seyyed Zia Hashemi: Data-mining has been an effective technique used by IRNA in the past year. It let us identify major news trends so we were able to cover better subjects and engage our audiences more successfully. Interaction among the media and their audience expands the influence of media since the interaction enriches media’s understanding of the context and affects the way they explore subjects, write articles and deliver news to the people. We have employed data-mining to explore both classical media and cyberspace at national and international levels. This way, we successfully focused on hottest issues and put emphasis on more significant and appealing topics. I recommend my colleagues in OANA to make use of data-mining techniques to improve their activities./.